A woman accused of robbing two Twin Cities banks and attempting to rob a third has been arrested and charged. Hennepin County Attorney Mike Freeman says the suspect is 39-year-old Melanie Sue Carey of Brooklyn Park. Officials say the first incident happened April 19 when a woman wearing an oversized sweater and sunglasses walked into a Brooklyn Center Wells Fargo Bank. She&apos;s accused of handing the teller a note saying "I am armed. This is a robbery. Give me the cash. Don&apos;t press anything." The teller gave her money and the woman fled. Afterwards, officials put out some surveillance photos with the FBI offering a reward for information on the suspect. Freeman says someone identified the suspect and contacted authorities. 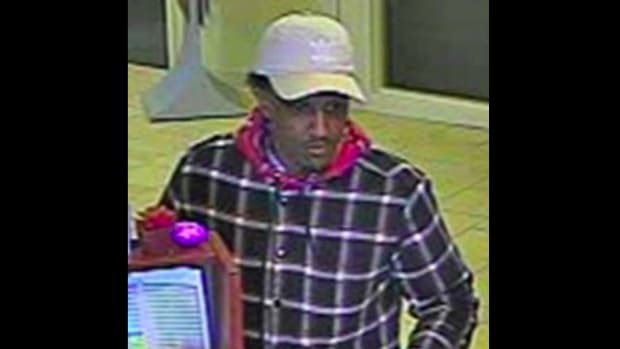 Then on April 28, Carey is said to have robbed another Wells Fargo Bank in Richfield – again wearing a sweatshirt, handing the teller a note and fleeing with cash. On Thursday, the woman is said to have demanded money in a TCF Bank in Robbinsdale. However, she fled the bank before getting any money and was caught by police, the news release states. The 39-year-old has been charged with two counts of second-degree robbery and one count of attempted second-degree robbery. She&apos;s expected to make her first court appearance on Monday. He implied that he had a gun.